The most important information about donor egg IVF treatment is its extraordinary effectiveness. While rarely an initial preference among couples with infertility, the use of donor egg IVF or donor egg ICSI is a superb second choice. Most importantly, it is one option much more likely to help patients achieve success. In addition to EmBIO Institute’s fee for service plan, financial options at EmBIO Institute allow couples to utilize donor egg IVF services while selecting from one of several payment options. 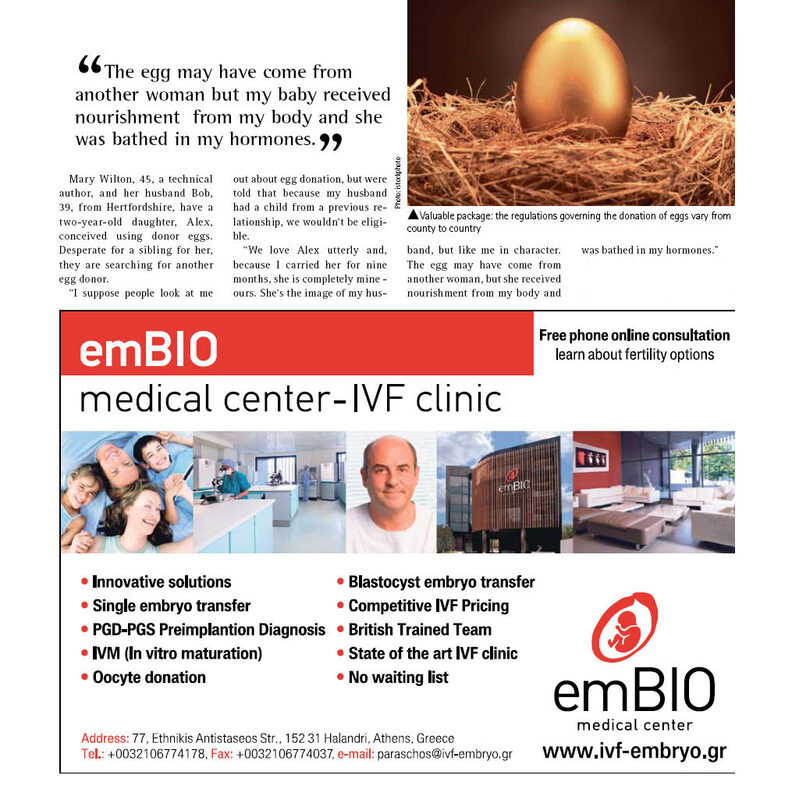 Also, EmBIO Institute is offering new inclusion criteria that will allow many patients, who otherwise would not qualify for inclusion in a donor egg IVF program, to participate. EmBIO’s donor egg IVF program started treating couples in 1997, and is responsible for hundreds of successful births since that time. Our program prides itself on the large, diverse selection of high-quality donors immediately available to couples, as well as the exceptional standards of care our patients receive during their assisted reproductive treatments. Couples can discuss options with our coordinators as they make their important decisions. This web page will focus on the programs recent success rates with fresh and frozen embryos, as well as the financial options that are available to our patients.